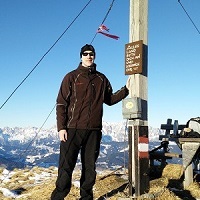 Home » Hiking Tips » Hiking Gear Materials » Why you should wear Merino wool clothing? Hiking, trekking and mountaineering can be strenuous activities and thus they require high performance clothing which keeps you comfortable in various conditions. The performance of a garment greatly depends on the material it is made of. The most common materials found in clothing for hiking are polyester, Merino wool, down (for insulation), nylon and other synthetic materials. Merino wool is primarily used for base layers (see our in-depth comparison of Base Layer Materials) and socks (blended with other materials) but can be used for mid-layers as well. Merino wool is known for its breathability, temperature regulation, odor-resistance and soft, non itchy feel. Because of that it’s highly appreciated among hikers, mountaineers and other outdoor enthusiasts who need high performance clothing for their demanding trips. Please note that Merino wool is not only suitable for cold weather but also for warm weather as it it can be knitted into very thin fabrics that will perform great also during summer days. 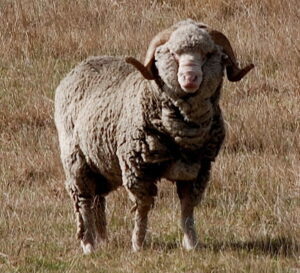 Merino wool is a 100% natural material which is shorn from one of the most ancient breeds of sheep, the Merino sheep. The Merino sheep most likely originates from North Africa but is today bred in many different countries. However, Australian Merino sheep are considered to produce the finest wool due to the beneficial climate, air and food there. Merino wool is, unlike regular wool, soft and not itchy as its ultrafine fibers measure only up to 24 microns in diameter. In comparison, an average human hair measures 100 microns in diameter. Therefore, Merino wool is perfect for clothing that is worn against the skin. Merino wool’s quality is graded by its fibers’ diameter. The smaller the diameter, the higher grade the wool has. Clothing that is made of wool which fibers measure 19.5 microns or less in diameter is suitable to be worn against the skin. Clothing made of wool with bigger fibers is best for mid-layers as it is not soft enough to be worn directly against the most sensitive areas of your skin. Merino wool offers superb temperature regulation due to its fiber’s construction. The Merino wool fiber consists of a cuticle (outer sheath) and a cortex (inner core). The outer sheath is hydrophobic (water-repelling) while the inner core is hydrophilic (water-absorbing). Therefore, Merino wool absorbs moisture (up to 33% in its own weight) but doesn’t feel wet against the skin as the outer sheath transfers the moisture to the inner core and thus stays dry against the skin. When it comes to temperature regulation, it’s all about the moisture between the skin and the clothing. The thermal conductivity of water is 25 times higher than the thermal conductivity of air and thus when wet, you lose body heat much faster than when dry (the heat is transferred to wet and cold clothing). Merino wool clothing keeps thermal conductivity more or less the same as the thermal conductivity of air is, thus keeping you warm in cold weather. As Merino wool fibers are very fine it is, unlike regular wool, soft to the touch and doesn’t cause any itching. Therefore, it offers great comfort. Because Merino wool contains lanolin (wool wax), it offers great odor resistance unlike other materials such as for example polyester. Lanolin positively influences the skin and has antibacterial properties. Due to the antibacterial properties of lanolin, Merino wool clothing efficiently eliminates odor-causing bacteria keeping you fresh after days of use. Merino wool absorbs moisture (up to 33% of its own weight) but when the fibers’ cortexes are filled with moisture it starts to wick the moisture to the outside where it can evaporate or pass to the next layer of clothing. This ensures that your skin stays dry. Merino wool also dries relatively fast as it doesn’t absorb as much moisture as for example cotton. Merino is, however, still inferior to polyester in this aspect as the synthetic material dries even faster – it absorbs merely 0.4% of its own weight in moisture. As Merino wool clothing has a relatively porous construction it offers great breathability as such. However, breathability also depends on the thickness of the fabric. A shirt made of Merino wool with a density of 150g/m2 is much more breathable than a shirt made of Merino wool with a density of 250g/m2. Allergies towards Merino wool are extremely rare unlike allergic reactions to man-made synthetic fabrics. Because Merino wool absorbs moisture, it rarely generates static electricity like polyester and similar synthetic materials tend to. Merino wool offers great protection against the sun as it absorbs radiation throughout the entire UV spectrum. Unlike many other materials Merino wool doesn’t have to be treated in order to offer UV protection. Merino wool products tend to be more expensive than those made of synthetic materials. However, as the Merino wool offers incredible odor resistance you won’t need as many garments as you would otherwise. Unlike polyester anti-odor treatments, Merino wool’s natural anti-bacterial properties don’t get washed away after time. Merino wool is heavier (especially soaked with sweat) than synthetic materials. This is not really an issue with base layers as they are light anyway, but can be a disadvantage for mid-layers which are usually heavier. To learn more about mid-layer materials read our article Comparison of Mid-Layer Materials. Popular brands that produce Merino wool clothing for hiking are Icebreaker, Woolx, WoolPro and SmartWool. ← Why is cotton bad for hiking?